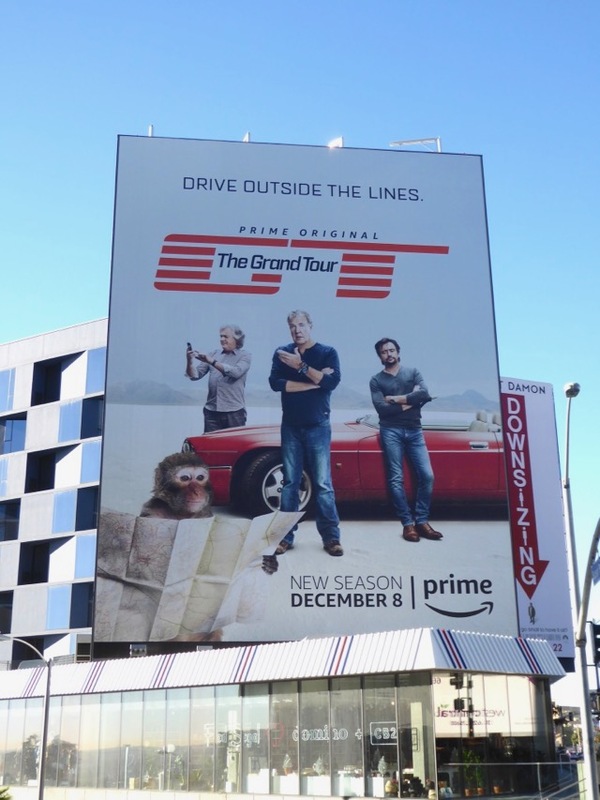 This December James May, Jeremy Clarkson and Richard Hammond continue to 'drive outside the lines' as they return for the second season of their motoring show, The Grand Tour. The trio of ex-Top Gear presenters continue to monkey around in cars all over the world and they've even added a new driver in the form of British racing driver, Abbie Eaton. 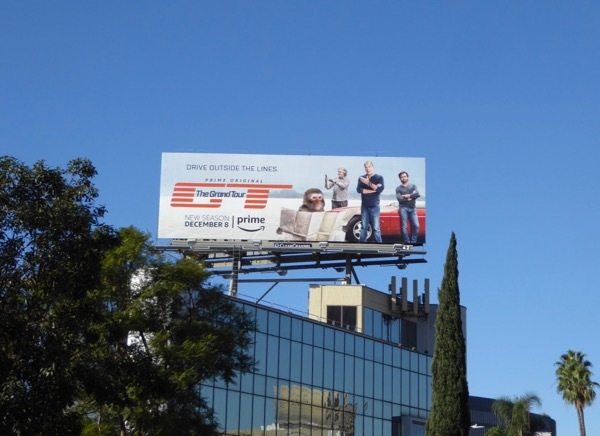 These sophomore season billboards were snapped along San Vicente Boulevard, La Brea Avenue and the Sunset Strip from December 7 to December 12, 2017. 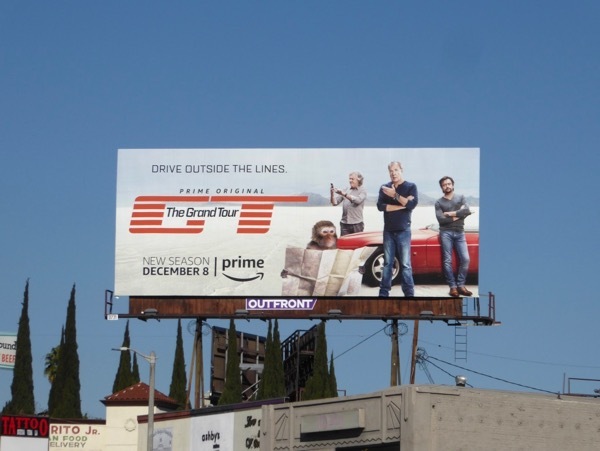 Fans of the show can also enjoy these series launch billboards for The Grand Tour and fans of the hosts can also check out this Top Gear Top Gear billboard from 2010. 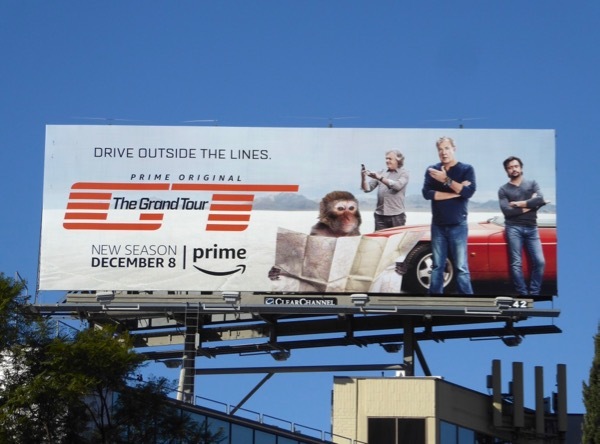 Plus for more monkey business be sure to also check out these movie billboards for The Hangover Part II. 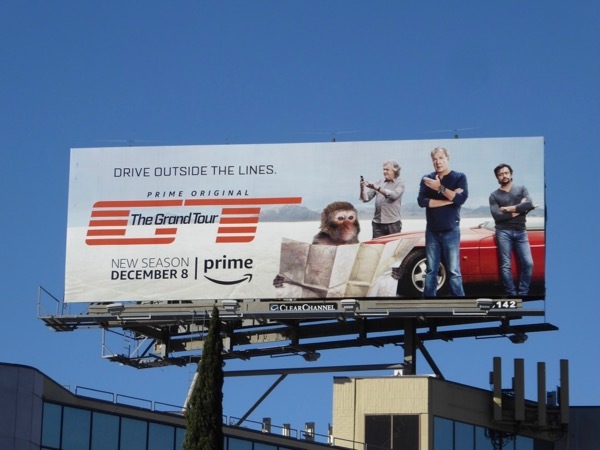 Expect more cars, more countries, more celebrity face offs and the same middle-aged men bickering and creating havoc on their unusual travels.